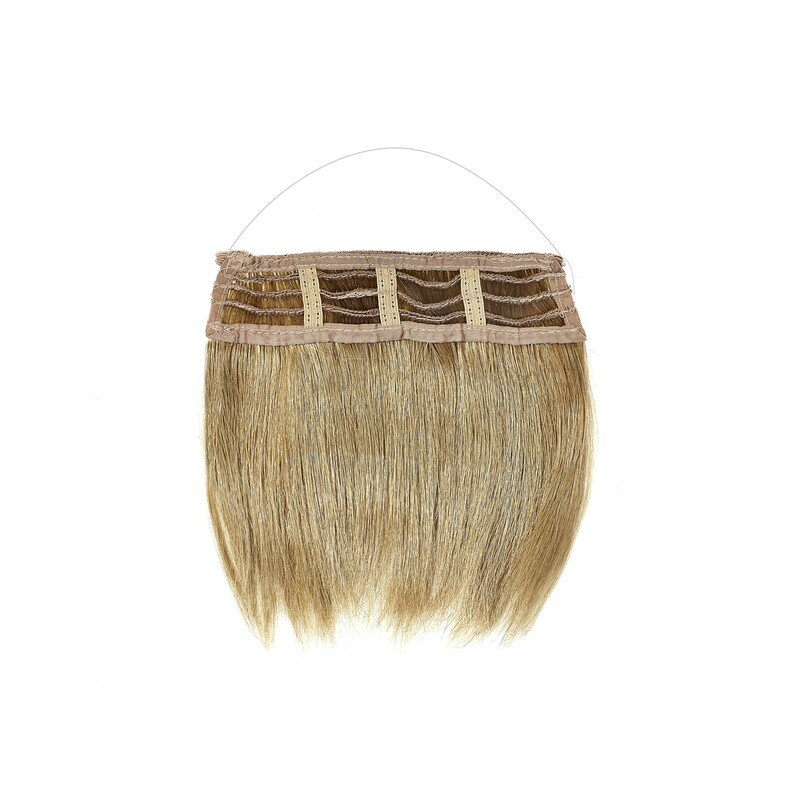 The Loop Fringe is a thick and blunt fringe. Wefts are sewn together and attached with loop wire. The top of the attachment area is straight. 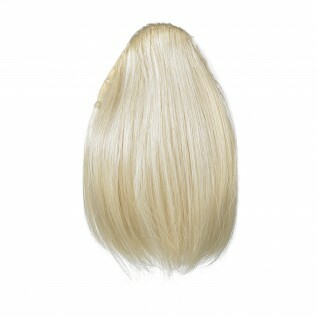 The top of the fringe would need some of your own natural hair to cover and hide the attachment area. 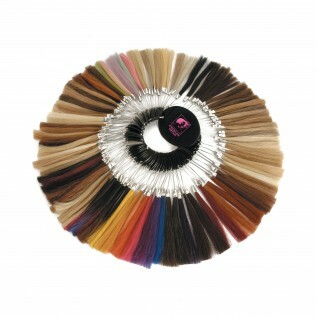 The Loop Fringe uses No clips, No glue & No tape. 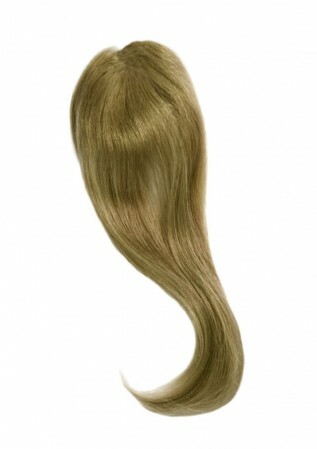 The Loop Fringe is attached using the Loop wire, a see-through soft wire that stays in place using a gravity system. The fringe can be cut to style.